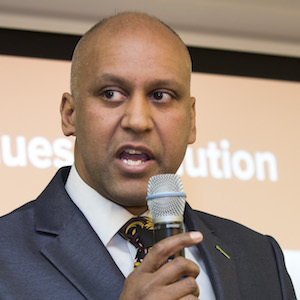 Dr Shahrar Ali is Green Party Home Affairs spokesperson and its former Deputy Leader. For many years, he has been a prominent and outspoken campaigner for civil liberties against the consequences of flawed policy – from the detention of UK residents in Guantanamo and fatal shooting of de Menezes; to the Islamophobic effects of the Prevent programme and irreconcilability of the IHRA definition of antisemitism with free speech on Israel. A philosopher by training, Shahrar was awarded a PhD from UCL on the morality of lies and deception, with special reference to public life. He teaches moral philosophy at the London School of Philosophy and works as a manager of health science education at Queen Mary University of London. He is author of two popular books on green politics, most recently Why Vote Green 2015 (Biteback), has given a Ted talk on the climate change emergency and regularly features in public festivals.